! Mount your speakers into your Chevy easily using these speaker adapters. 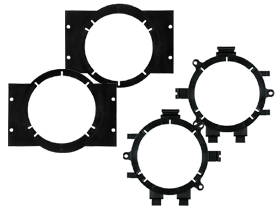 A Metra Chevrolet Speaker Adaptor is made from top quality construction materials to ensure its durability. Purchase your Metra Chevrolet Speaker Adaptor at very affordable price, only here at HalfPriceCarAudio.com!